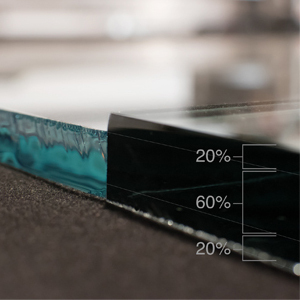 The perfect cut is obtained when a 90 degree angle is formed between the surface and the glass profile, but for many years this angle has been impossible to achieve with the options offered on the market. Due to the characteristics of the glass manufacturing process, the outer parts cool down quicker than the inner core. These differences make the glass resemble a set of layers, where there are two outer layers, each one being 20 percent of the thickness of the glass, and a central layer, where 60 percent of the remaining thickness is found, with different characteristics. Turomas, with experience of more than 34 years in flat glass cutting has learned that, to achieve perfection it is necessary for microcracks of at least 10 percent of the thickness of the glass should be made during the cutting process, achieving that desired 90 degree angle. Also, if 20 percent of the thickness is achieved, an open-cut is obtained, which means that once the glass is scratched it opens without needing to cut it, with perfect quality. 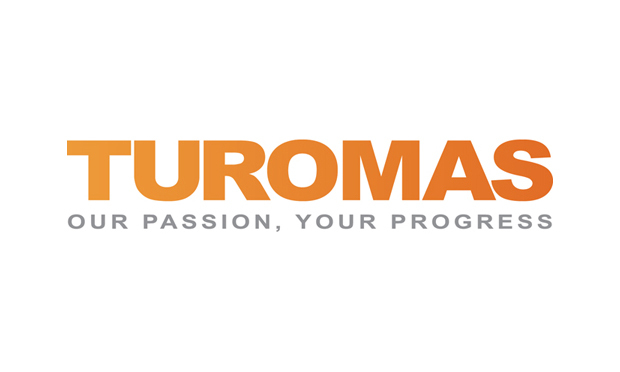 This changed permanently in 2008 when Turomas developed and patented their 4tool technology, pioneering the perfect glass cut on any thickness. With these different tools, the machine achieves a perfect cut on any glass thickness, including 25 millimetres. The first tool is used to cut glass from only 0.55 to 2 millimetres in thickness. The second and third tools are used for glass between 2 and 12 millimetres in thickness, which are the more common thicknesses. 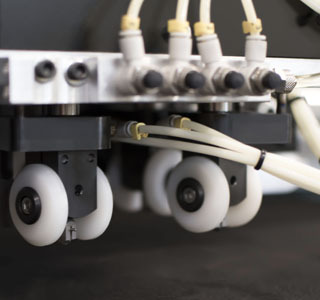 The fourth tool also uses a roller with a larger diameter to obtain an exceptional cutting quality on thicknesses of 12, 15, 19 and 25 millimetres. With this technology, Turomas has become the only manufacturer of machinery for the flat glass industry to achieve a flawless cut automatically on any thickness, thus managing to transfer the perfection to the cut.